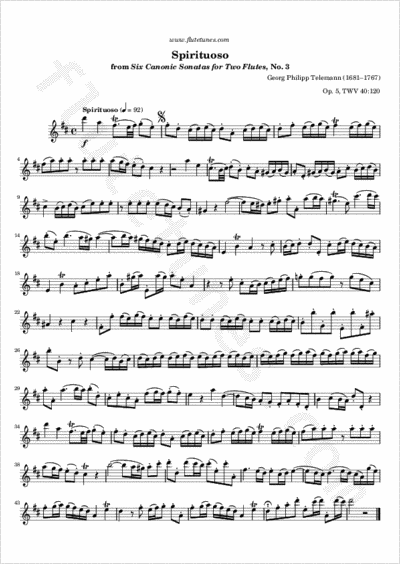 This is the first movement from Georg Philipp Telemann's third Canonic Sonata for two flutes. It is marked “Spirituoso”, which could simply be translated as “spirited”, or “lively”. It starts off with a brilliant theme in D major, then modulates to A major and B minor in the central section before the return of the theme. As with all canons, both players can play from the same part. Thanks to Béa for suggesting this piece!